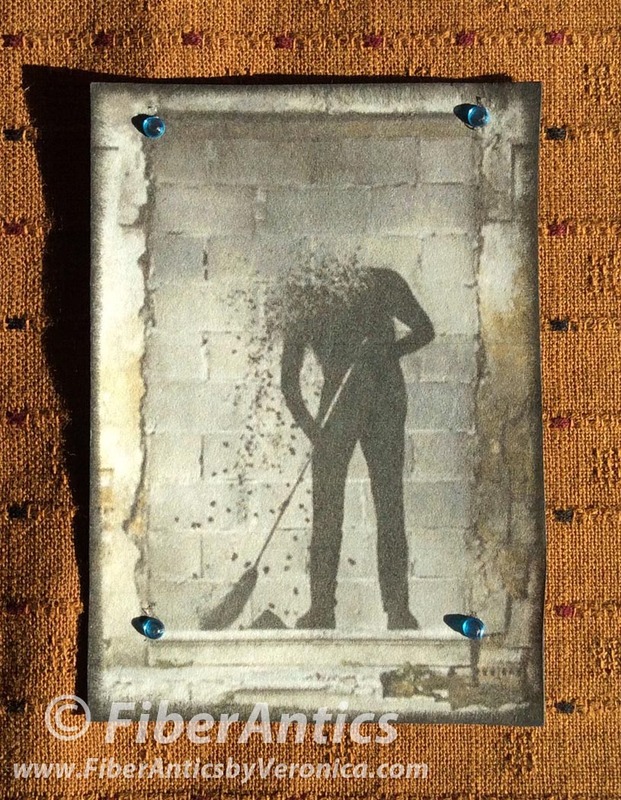 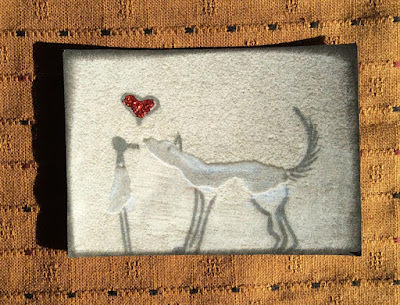 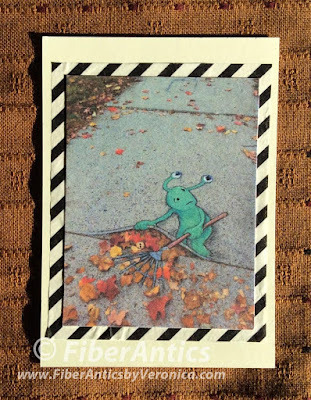 We often use materials such as paint, chalk, yarn and other fibers in our ATCs [Artist Trading Cards] and other artwork, but these mediums are also used to create Street Art. Street Art is a form of art or self-expression that is created in public areas. 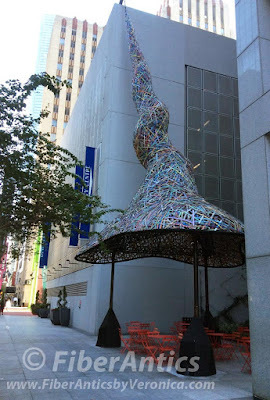 It's also referred to as public art, urban art, street installations, and graffiti. The word, graffiti, (plural of the Italian word, graffito) means a drawing or writing scratched on a wall or other surface (from archaeology). 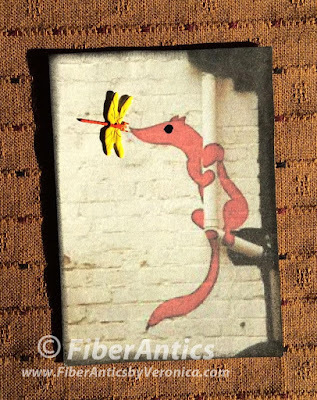 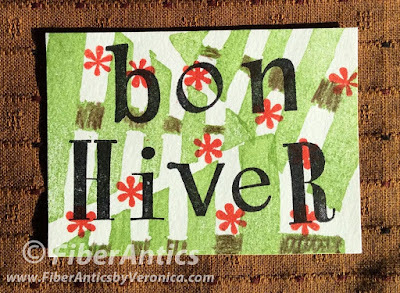 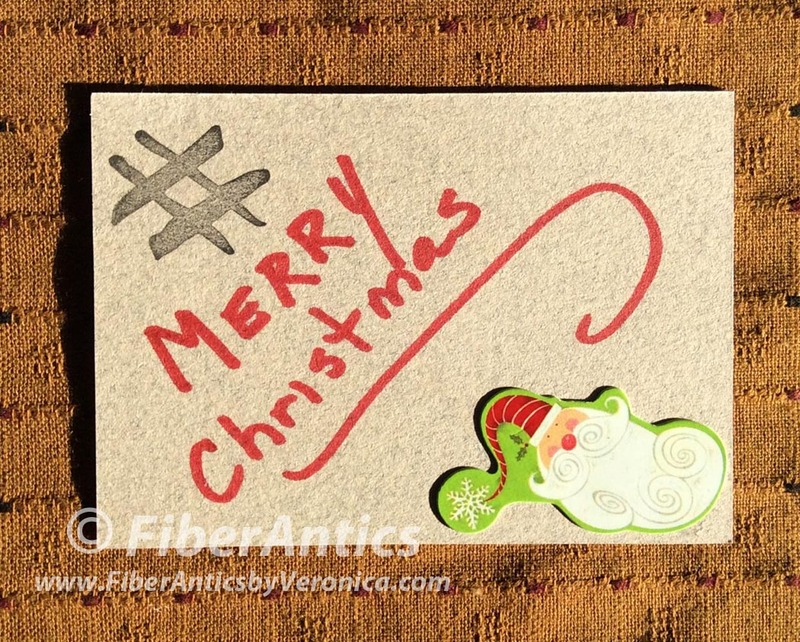 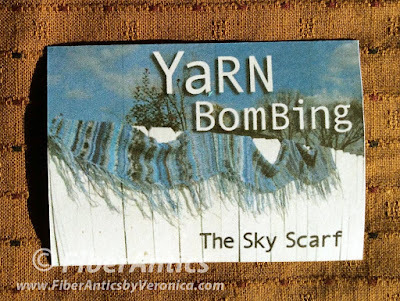 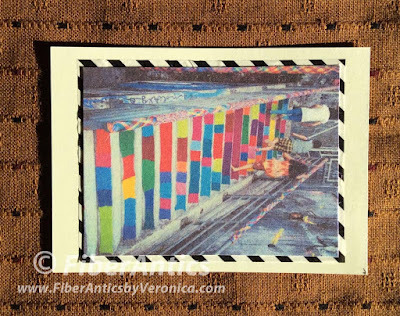 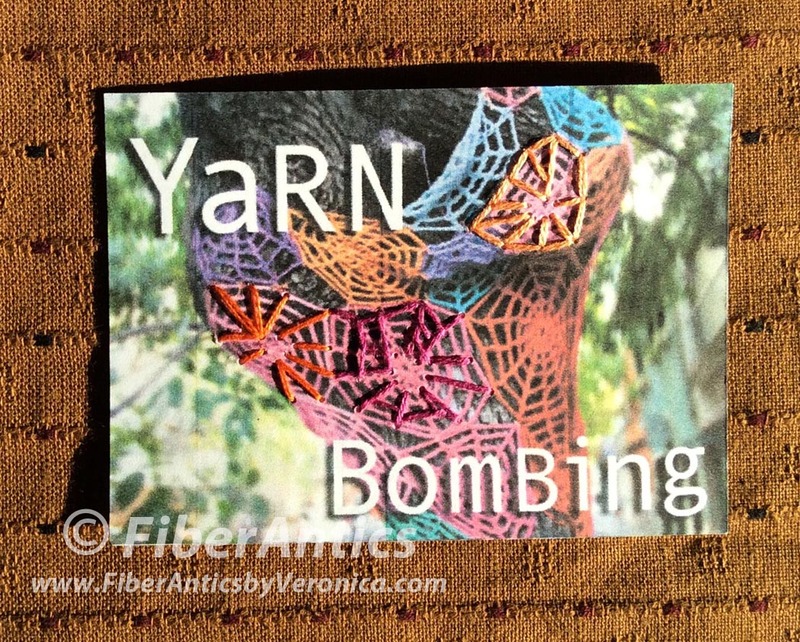 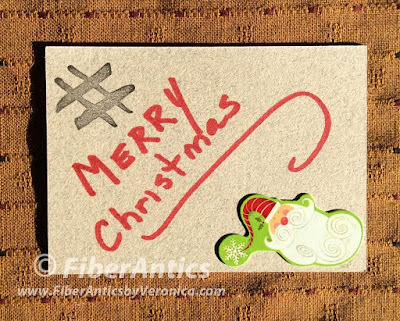 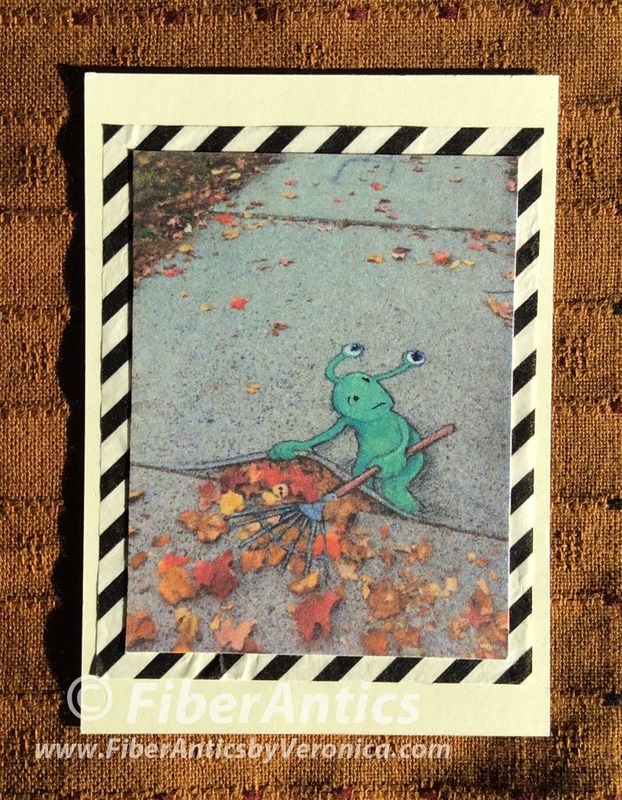 The theme for the November/December FiberAntics ATC swap was "Street Art." 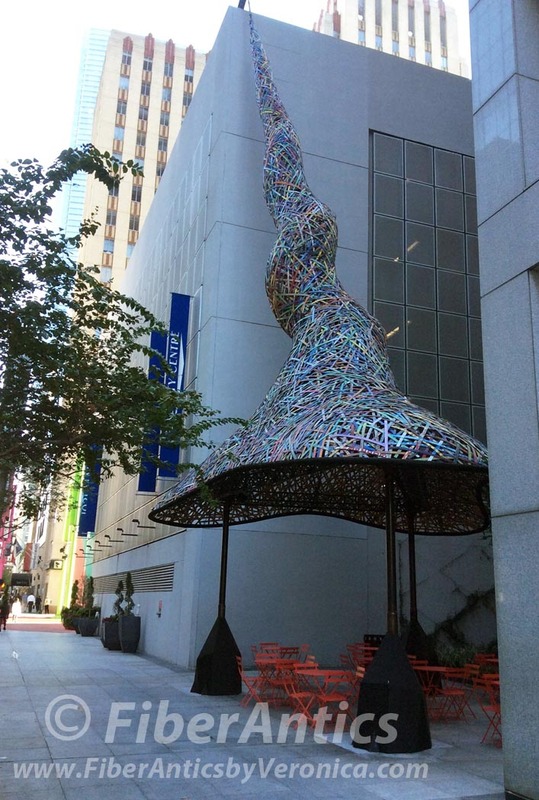 Have you seen any public art displays similar to these in your neighborhood? "Bon Hiver (Happy Winter)" by Marilyn League. On my trip to Houston for Quilt Market at the end of October, these ghosts floating in the breeze for Halloween in Discovery Green Park next to the convention center. 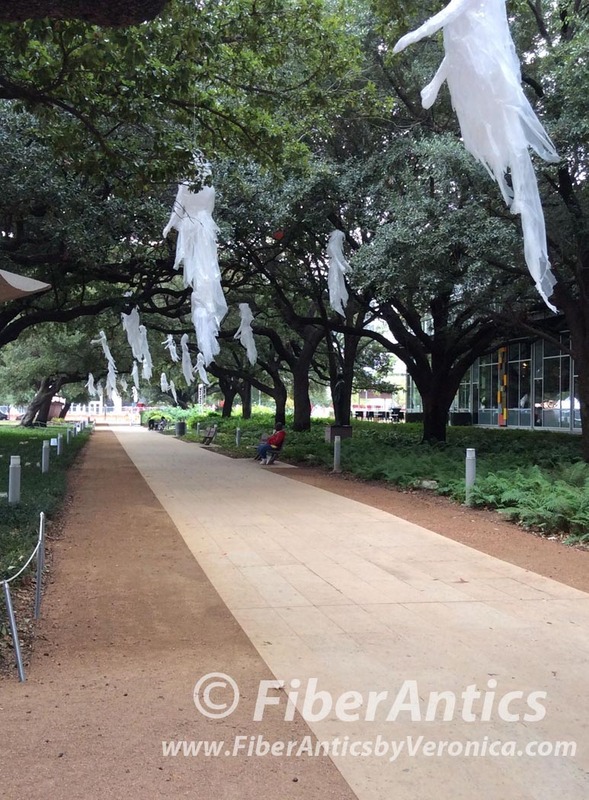 Ghosts swinging from the trees in Discovery Green Park. 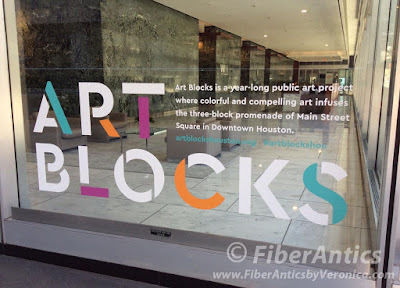 Houston is also sponsoring the Art Blocks project that infuses colorful and compelling art into a three-block promenade on Main Street, in downtown Houston. 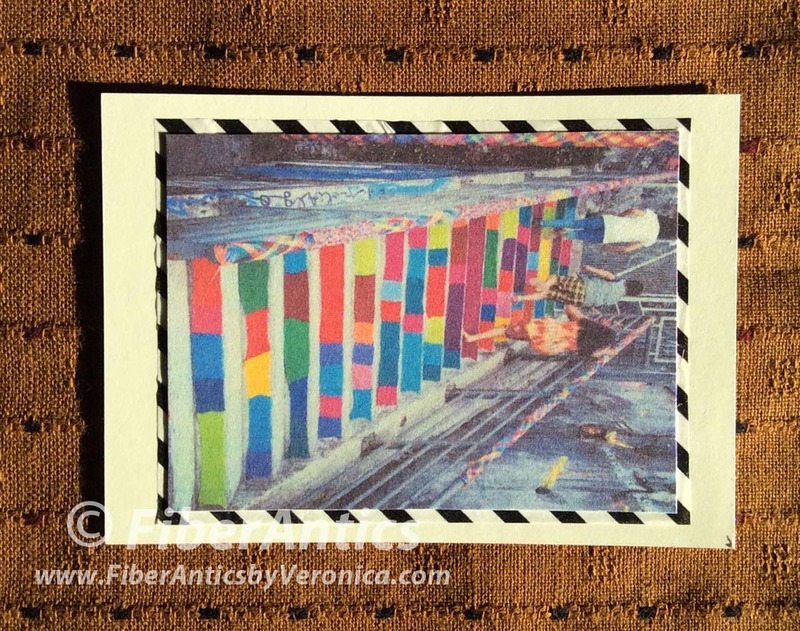 Art Blocks public art project. 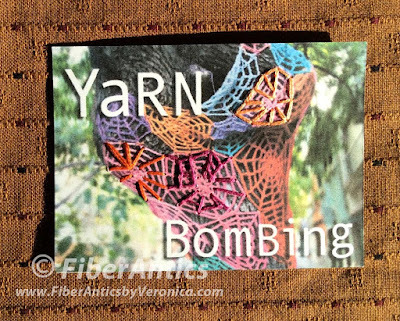 This is one of the Art Blocks installations. 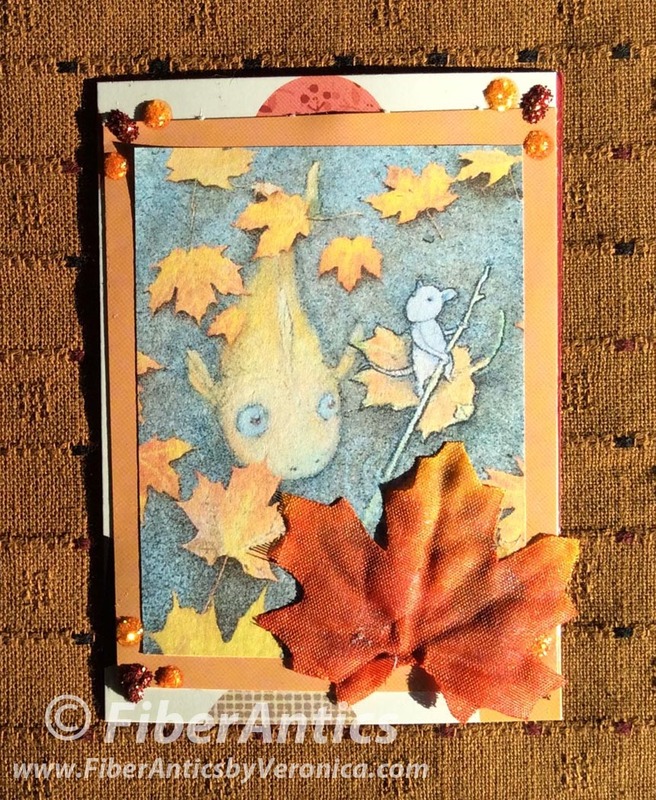 It reminded me of a Dr. Seuss hat. 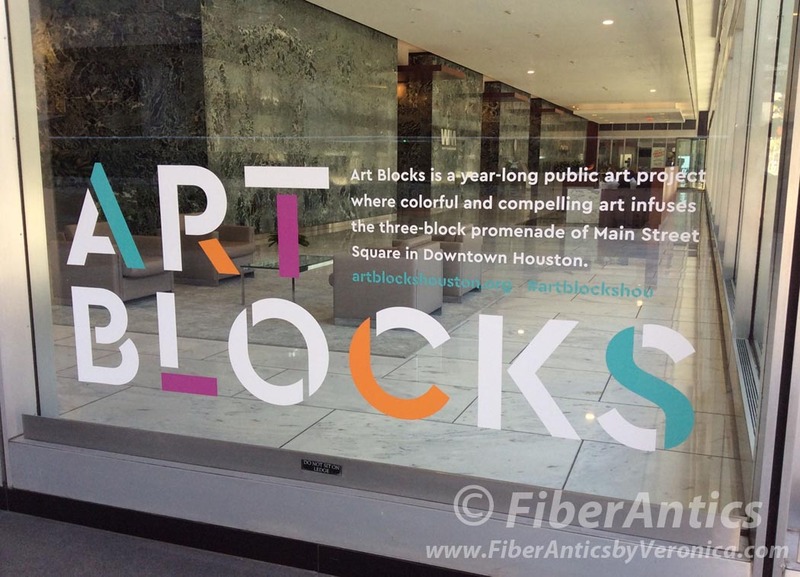 Art Blocks installation, downtown Houston.